In yesterday’s post I presented a newcomer in the market: QuipIM – the first Lotus Sametime Client for iPhone and Android. I downloaded the software to my android device and started testing it straight away. In this post I want to share my results and impressions. The installation process is as easy as any other app. Just open the android market, search for QuipIM and download and install the software. Once installed you can open it and will be presented with a button named „Add new account“. Following this order I entered my account details. Here’s is an example I copied from androidzoom. Now you end up with your newly created account and your buddy lists. QuipIM shows all buddy lists that you manage with your Samtime Desktop Client. You can switch between the list via a combo box as you can see on the screenshot on the right hand side. Just tap on a buddy to start a new conversation. A new window opens that shows the conversations and a small field to enter messages. A send button sends new messages to your chat buddy. All conversations will be saved by default. There is no option to disable chat histories. The number of settings is rather small right now. Given that this is the first version we can not expect to get a full tweak environment. You can set a time of day to disconnect all accounts automatically. You can decide whether to use a sound, vibration or none of these when new messages arrive. If you want your LED to flash on new IMs then tick the appropriate box. That’s about it. QuipIM can handle multiple accounts. I added my company account, Lotus Greenhouse and Euluc. It works fine so far. I experienced some minor problems during weak mobile connections. QuipIM keeps disconnecting my accounts. In 3G or WiFi environments it works like a charm. This is the first version of the first sametime client for iPhone or Android. Don’t expect a high-end solution. It’s a basic app that does what it’s been designed for. For as long as IBM won’t provide a native client I will use QuipIM. Are you like me waiting for a Lotus Sametime Client for iPhone or Android? Guess what, there is one and the best thing is: it’s free of charge! 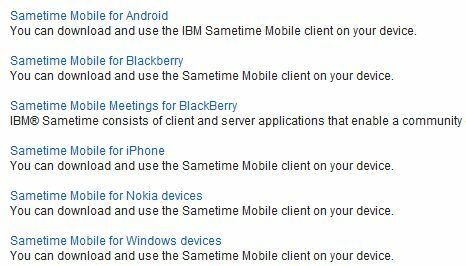 IBM hasn’t managed to provide a Sametime Client yet so some equally impatiant people have developed their own client. It’s called QuipIM for Sametime. Manage your connections to multiple accounts. 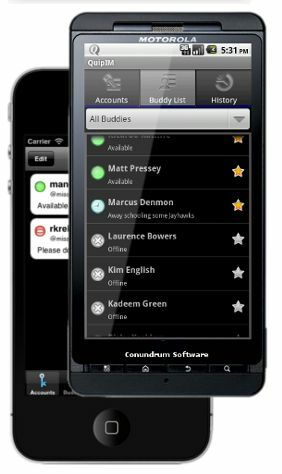 Manage your buddy list, including adding and removing buddies and groups. Easily switch between active conversations using a swipe. Set your status and a custom status message. Easily access and manage your conversation history. So go ahead and give it a try for as long as IBM won’t release a native client! It is either available from the android market or the apple app store (coming soon!). I just posted a review for this app. Since I recently dropped my Blackberry Bold and now operate a HTC Desire HD I moved from BB Enterprise Server to Lotus Traveler. It works well, but I really miss a Sametime client I got used to on my Bold. I know that there are workarounds, but they are just workarounds. I rather wait for IBM to deliver a native solution. Believing rumors it won’t take long before IBM ships such a client. 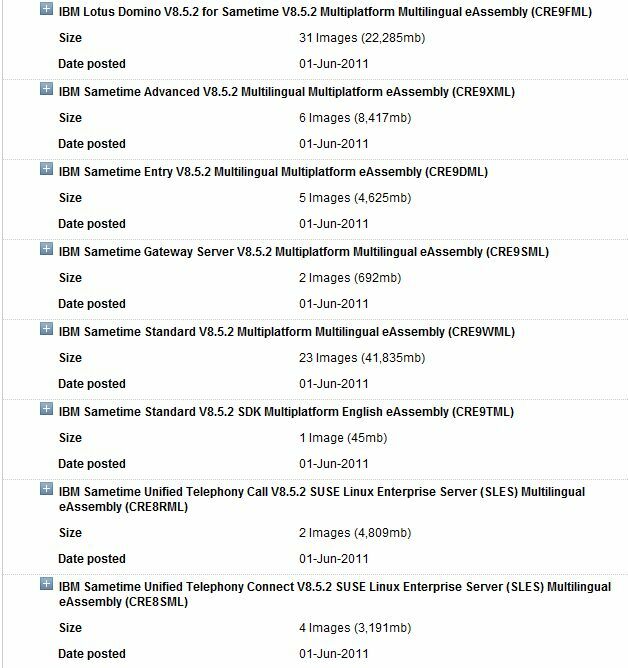 So let’s wait and see what’s being announced at Lotusphere 2011.